Miniature output beam tetrode 6П1П-ЕВ It is intended for amplification of low frequency power. Special bayonet lamp, 5V, 15W, BA15D Special bayonet lamp with voltage 6 V, power 15 W and socket BA15D. Special LED lamp 230V AC/DC, BA15D, white Special LED lamp 230 V AC / DC, BA15D for industrial automation. 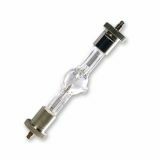 Halogen Microscope Bulb GZ6.35, 100W, 12V Halogen bulb with horizontal filament LT05030 with base GZ6.35, wattage 100 W and voltage 12 V.
Lamp for cinema spotlights 220V, 300W, P28S Special lamp for projectors with socket 1ф-S34-1 (P28S) and rated voltage of 220 V.
List Price: 17.50лв. VAT Incl. 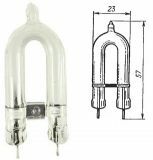 Mercury tube rectifier ignitron DCG9/20, 20 kV, 2.5 A, with direct cathode 5V/12.5A Mercury tube rectifier DCG9/20, 20 kV, 2.5 A, with direct heating cathode 5V/12.5A. 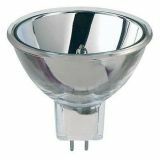 Pulsed xenon lamp Philips XOP 15-OF, 220 V, 1500 W Special pulsed lamp Philips XOP 15-OF rated voltage 220 ​​V, power 1500 W.
Special mercury lamp 1406-01 DIAZO, 220V, 2000W, B9.5 Special 1406-01 DIAZO mercury lamp with a rated voltage of 220 V, power of 2000 W.
Special mercury lamp 300W, 114mm Special mercury lamp YR580B, 100 V, 300 W, SFc10-4. 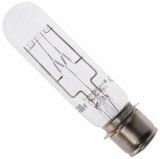 Special mercury lamp 100V, 1200W, SFc15.5-6 Mercury lamp, 100 V, 1200 W, SFc15.5-6. 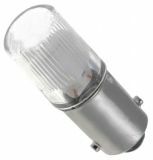 Pulsed xenon lamp, 4000W, 210V, KX110-9-S Pulsed xenon lamp, 4000 W, 210V, KX110-9-S.
Pulsed xenon lamp, 180 V, 10 000 impulses Pulsed xenon lamp IFK, 180 V.
Special Neon Bulb 110 V, BA9s green, 52 W Special neon lamp 110 V, 2 mA, BA9s. Special lamps are characterized by their different applicationС. The models that we offer are used in specific medical devices, radios, cinema projectors, swimming pools, overhead projectors, correctional devices and many others. In VIKIWAT, you will find a variety of dichroic lamps, arc lamps, flash lamps, halogen ampoules and others. You can choose from lamps with amalgam cover, with reflectors or with filters. We wish you have a pleasant shopping with VIKIWAT!